Well! 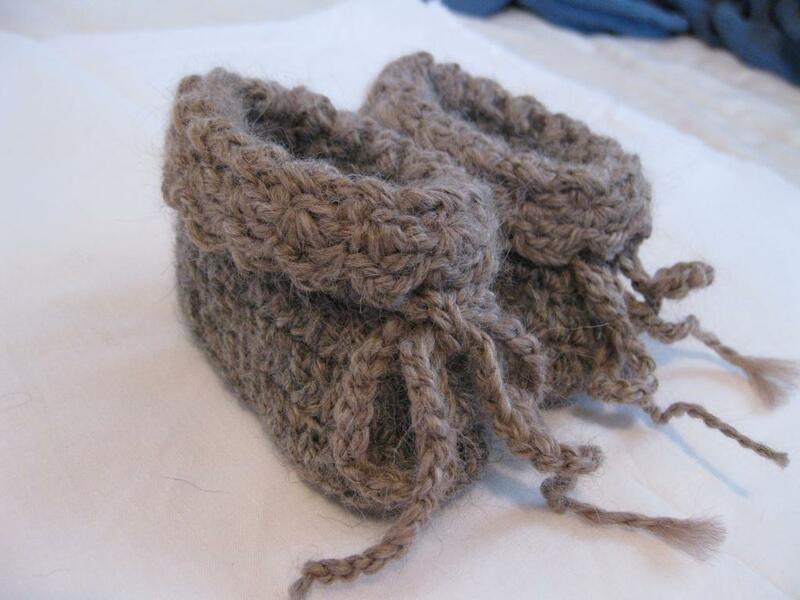 Those baby booties I made for my friend went over well, at least among followers of the blog. I’ve filled my first order of the cute little things. I ran out of the “baby grey” yarn I was using, so I spun up some more using only the rose grey, 100% baby alpaca yarn. 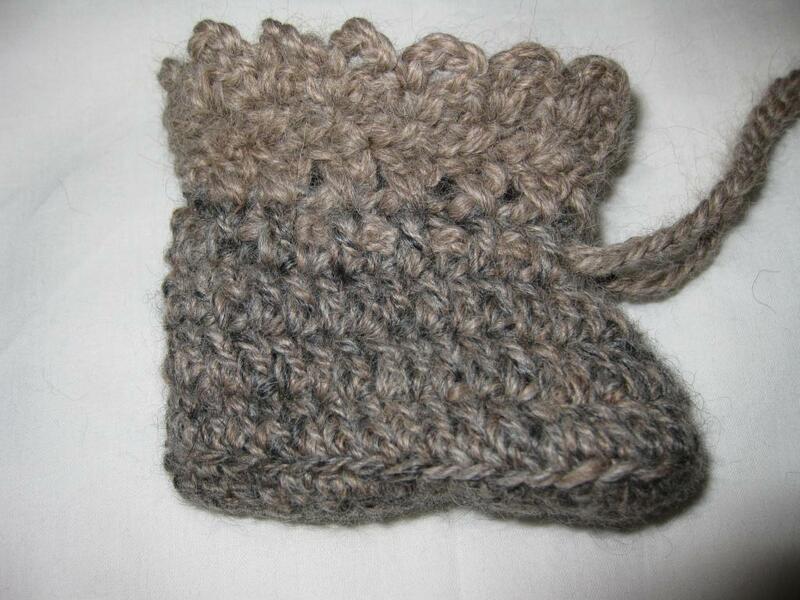 I used the new, slightly browner yarn for the cuffs and ties of the booties. I also modified the pattern. There were four rows of cuff in the pattern, but I only did three. I felt like the cuff to boot ratio was weighted a little too heavy on the cuff side (new bootie on the left, old on the right below). I’ve only recently gained enough confidence as a crocheter to modify patterns. I used to crochet an entire blanket feeling like one stitch just wasn’t right. Not sure why it took me years to realize I could just change that stitch, but I’m glad I have! 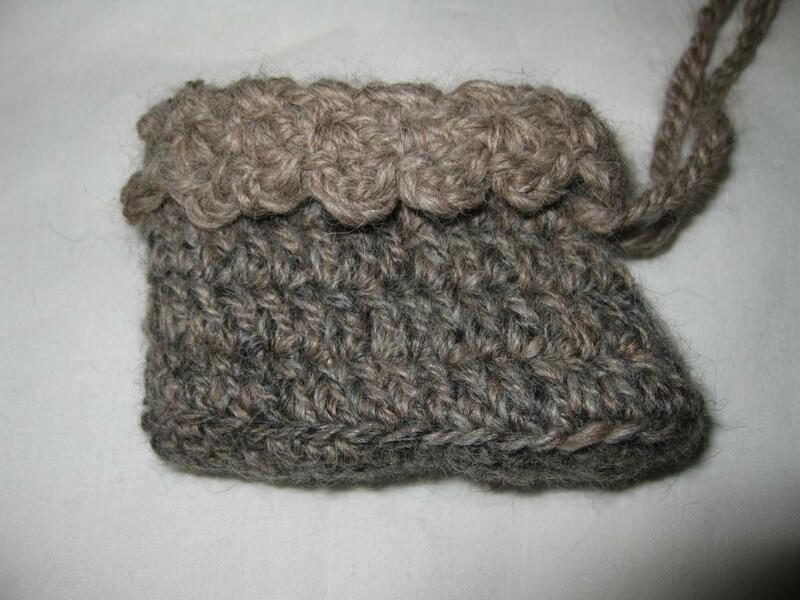 This entry was posted in fiber art and tagged baby booties, baby items, crochet, crocheting. Bookmark the permalink. This baby will be very stylish! AWESOMELY cute! 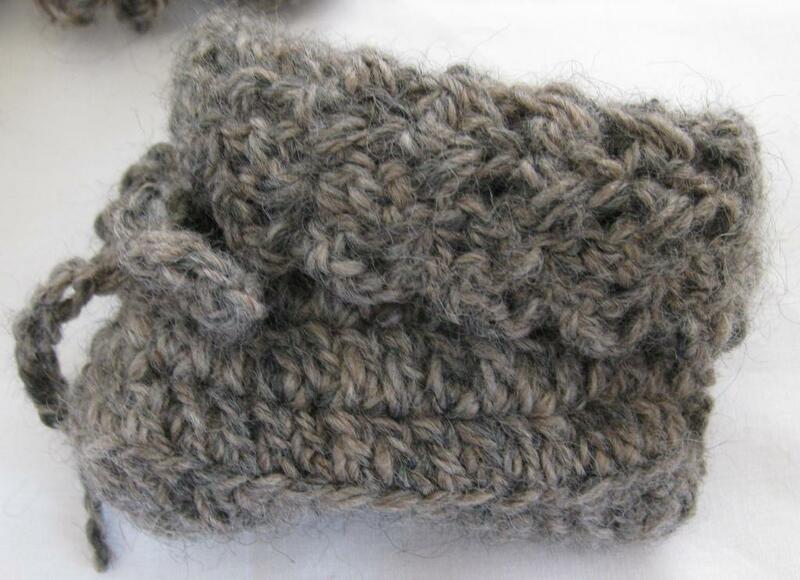 I agree with you on the cuff to bootie ratio and think the yarn is yummy.